Today’s photo is of Fuchiko, the tiny OL (office lady) who appears in people’s photos, usually perched on the edge of a a cup or glass. 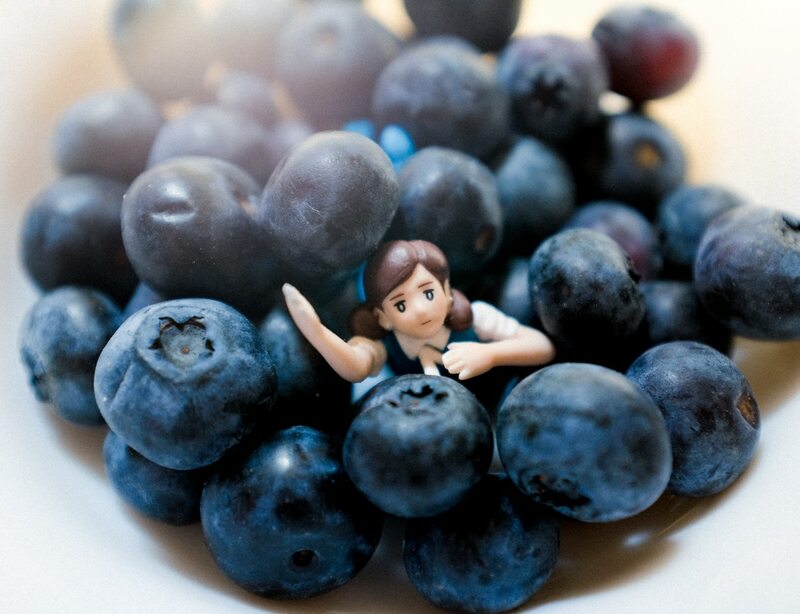 Mariko went shopping and came home with a bunch of blueberries and I wanted to take a photo of them for Instagram, but then I thought it would be a little more interesting with Fuchiko in the photo. So… a little bit of drama in this one! I guess I was inspired a bit by the awesome Instagram feed of Takuya Tanaka. He’s so creative!